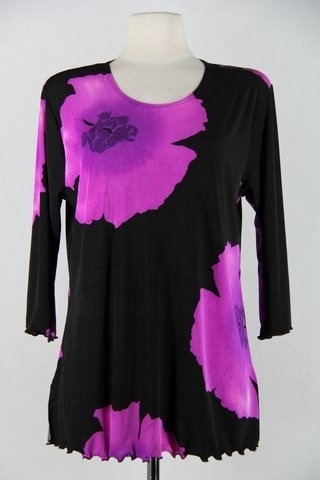 3/4 sleeve top with lettuce finish in purple big flower print. This classic top has a lettuce finish on the hem and the sleeves.. 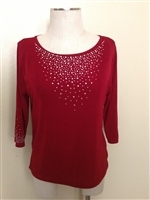 There are also side slits on this top. Coordinates with lots of our skirts and pants. Made in USA of 90% polyester/10% spandex. Hand or machine wash in cold water. Hang dry.